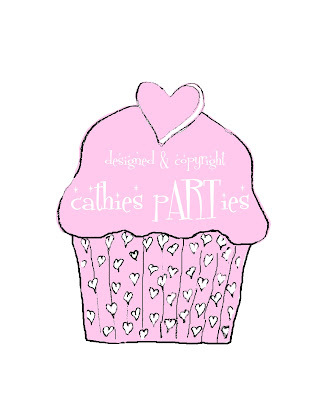 Here is MY PINK CUPCAKE Digi Stamp you can PRINT & turn into a handmade card or gift tag. Or make a banner using multiple cupcakes, then use your dies to cut letters to paste onto the cupcakes to spell out your sentiment or message on the banner cupcakes. Then string up across a dresser, china cabinet, wall, or the edge of a table. To receive your FREE copy without the watermarks - CLICK ON MY PROFILE -there you will see my email contact button. CLICK ON that and send me your reqest & I will forward you a pdf version. Also become a follower to continue to receive free digi stamps, clip art, challenges etc. For personal use only - all rights remain with cathies pARTies (Cathie Thompson) Do not share file, copies, resell, use in the making of new digi stamps/art, produce items for sale. 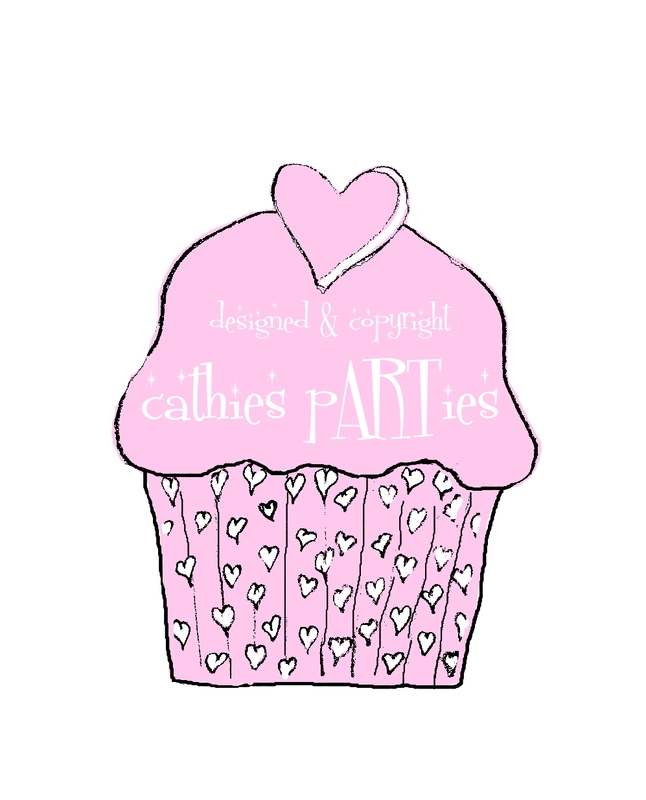 You may publish your creations in challenges, blogs, groups/forums, or magazine/books, but you must give credit to cathies pARTies for the image. Thanks! Please refer others to cathies pARTies for their own personal copy. PLEASE SHARE MY LINK on your blog, favorite blogs, digi sites offering reference to sites that offer free digis, also share a link on facebook, twitter, etc. Find other uses for the cupcake you want to share with me & my followers? CONTACT me VIA EMAIL LEAVE a comment ON MY POFILE to arrange your pic to be emailed to me so I can include your creation in my gallery of the digi stamp used). Use it for any occassion that calls for a PINK CUPCAKE Celebration! Make every day an occassion for a PINK CUPCAKE CELEBRATION!